In this week's issue of MCN, on sale Wednesday December 14, we take a trip to the MV Agusta factory for an exclusive look at the development of the new MV Agusta F3. 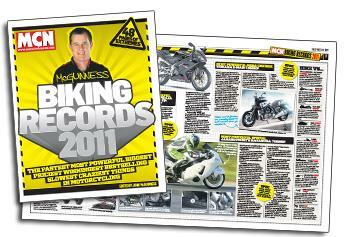 This week also features a 48-page supplement on biking records edited by John McGuinness as well as a glossy 2012 calendar! 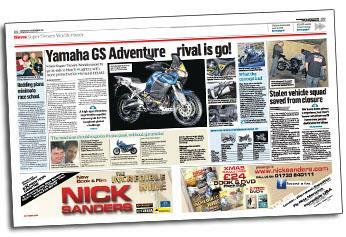 We test the new 2012 Kawasaki ER-6n against the outgoing model, Yamaha announce the Super Tenere Wordcrosser and we ride the new Yamaha T-Max. Also, Victory unveils the new Hard-Ball - a bagger version of the High Ball model - set to go on sale next Spring. 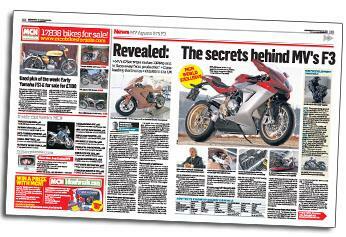 MCN gained exclusive access to the F3's key engineers to discover how a tiny company like MV Agusta has created a machine that looks set to humble the latest CBR, R6, GSX-R and ZX-6R from Japan and the superb Triumph Daytona 675. The Worldcrosser version of the XT1200Z Super Tenere, first shown as a concept bike at the Cologne Show last year, will go on sale next March, Yamaha has announced. The new 2012 ER-6n has the most substantial visual and mechanical change the ER-6n has yet seen in its life. 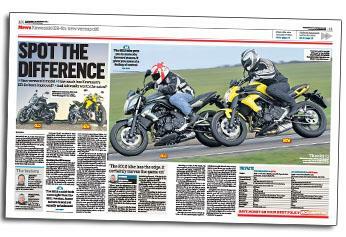 We put the 2011 and 2012 ER-6n head to head to see if the new bike is worth the extra money. 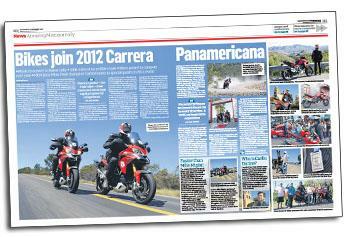 MCN joins Pike Peak champion Carlin Dunne on Mexico's answer to the Dakar Rally, with 1800 miles of incredible roads. 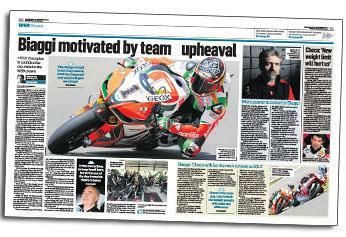 Max Biaggi will have to deal with the massive upheaval of losing his crew chief and mechanics just 10 weeks before the 2012 season kicks off in Philip Island. 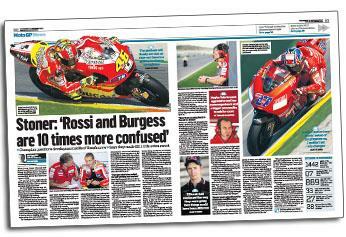 2011 MotoGP champion Casey Stoner questions the development skills of Rossi's crew. 48-pages of the fastest most powerful biggest priciest winningest bestselling slowest craziest things in motorcycling, guest edited by John McGuinness. 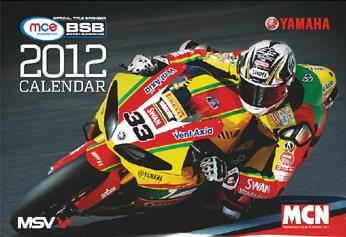 Glossy calendar featuring some of the best images from the 2011 BSB season, with all the 2012 BSB rounds already pencilled in!